If you have larger feet, then you’ve encountered the struggle of finding a foot spa that can accommodate you. Many that claim your feet will fit might give you less than ½ inch of toe clearance or force you to bend your toes to use the product. The Kendal All-in-One Spa Bath Massager is a different story. You still have plenty of room to spare, even if you have size 14 feet to put into it. That means more people can take advantage of the heat therapy, oxygenated bubbles, and vibrations that this foot spa can produce. It uses a PTC heating semiconductor to produce the heat, giving you a constant temperature that is achieved quickly. Overheating governors are included with the unit so it will shut down if it gets too hot. How Well Does the Kendal Bath Massager Work? 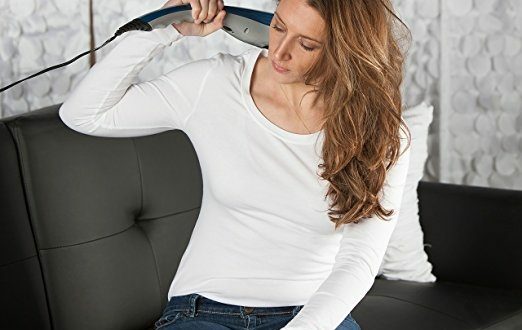 There are 3 pre-set programs that can be used with this particular bath massager. Each offers a different combination of the specific features that are provided by Kendal. The nicest feature, however, is the self-draining that this foot spa does. Instead of splashing around the house with used water that has who-knows-what in it, you can just drain the water away and do a quick clean with ease. The draining feature does operate a bit slowly, however, but you can leave it in your sink, tub, or shower and get back to doing other things. You can use essential oils in this foot spa without difficulty. Epsom salts are approved for use within it as well. The depth of the foot spa by Kendal is also quite nice. You can get your entire foot to be submerged within the confines of the foot spa without worrying about the water going over the side of the unit. The heat function on this foot spa is nice, but it doesn’t have the power to maintain water temperatures for an extended period. Expect a good 20-30 minutes maximum if you like having hot water with your bath massager. There is only one heat control setting and it is included with all the presets. The angle of the foot spa is a little difficult to get used to using. 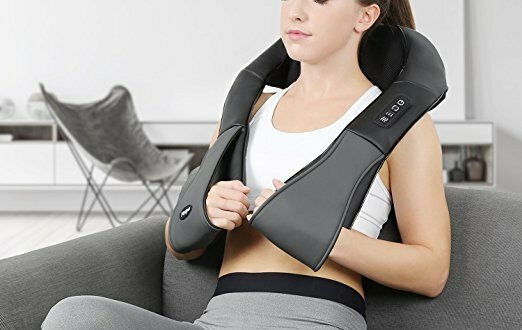 You almost need to have your legs at a full 90-degree angle to have the feet access all the benefits that are provided with this massager. There is a splash guard in place that does a reasonably good job of keeping the water within the unit. The noise level of this foot spa is slightly louder than average, but not bothersome. Is the Kendal All-in-One Spa Bath Massager a top-of-the-line massage product? Not really. Is it equipped with the right features so that you can relax after being on your feet all day for a price that is reasonably affordable? Absolutely. Although there are other models out there that can provide more customization, the positives far outweigh the negatives with this foot spa. Give it a try and we think you’ll be pleased.